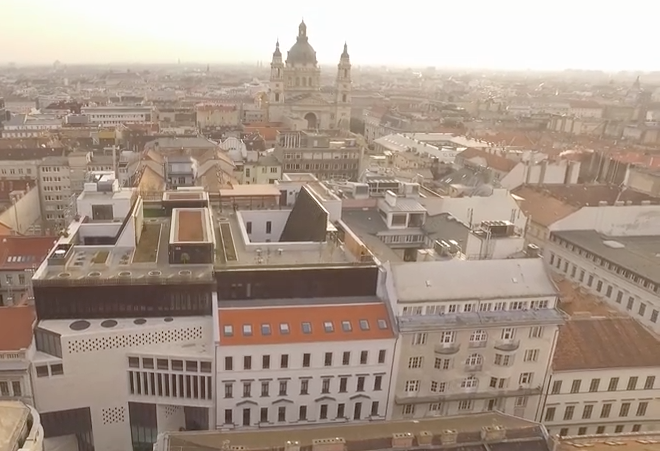 Located in the heart of Budapest, CEU occupies several buildings in a vibrant downtown neighborhood just blocks from the Danube. 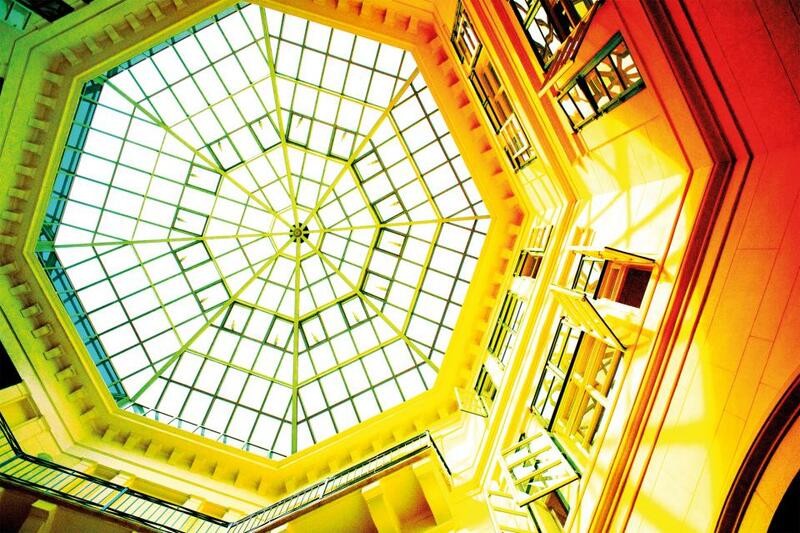 Here you'll find important practical information regarding CEU’s campus buildings and facilities. Click here for a Google map of CEU buildings. 1051 Budapest, Nador utca 15., 13., 11, and 9. These buildings appear in photo above. 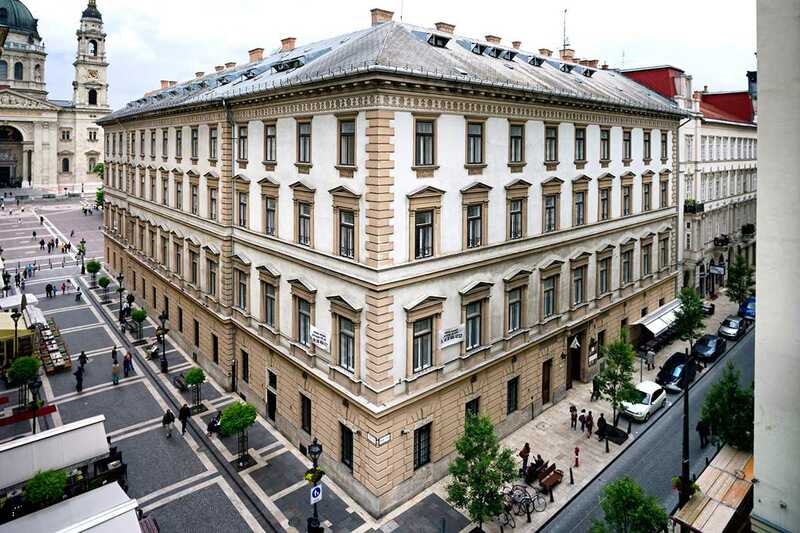 Nador utca 15 is the key entrance to the University and is home to the CEU Auditorium, the CEU Library, classrooms, a cafe and a restaurant. The building opened in fall 2016 with neighboring Nador utca 13. The four interconnected buildings house classrooms, academic departments, administrative units, and student study spaces. 1051 Budapest, Zrinyi utca 14. This building houses some classrooms, academic and administrative units. 1051 Budapest, Oktober 6. utca 7. 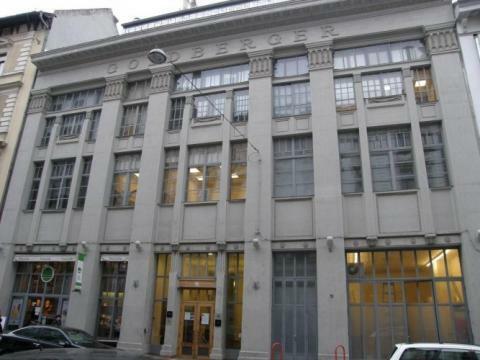 This building one block from Nador utca houses classrooms, the Oktober Hall event space and several academic units. 1051 Budapest, Vigyazo Ferenc utca 2. This building, within view of the Nador 15 entrance, houses academic units and faculty offices. 1051 Budapest, Jozsef Attila utca 24. 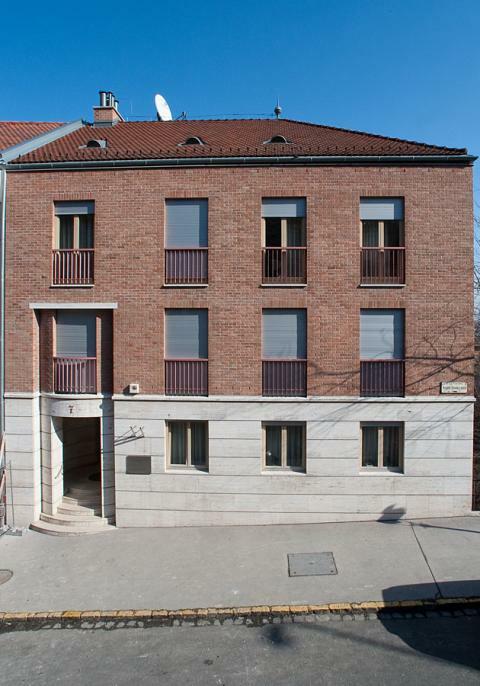 This building, a short walk from Nador utca, houses administrative units. 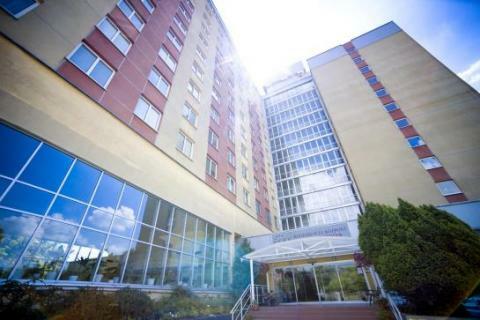 CEU Residence Center,1106 Budapest, Kerepesi ut 87. CEU Press, 1051 Budapest, Oktober 6. utca 14. 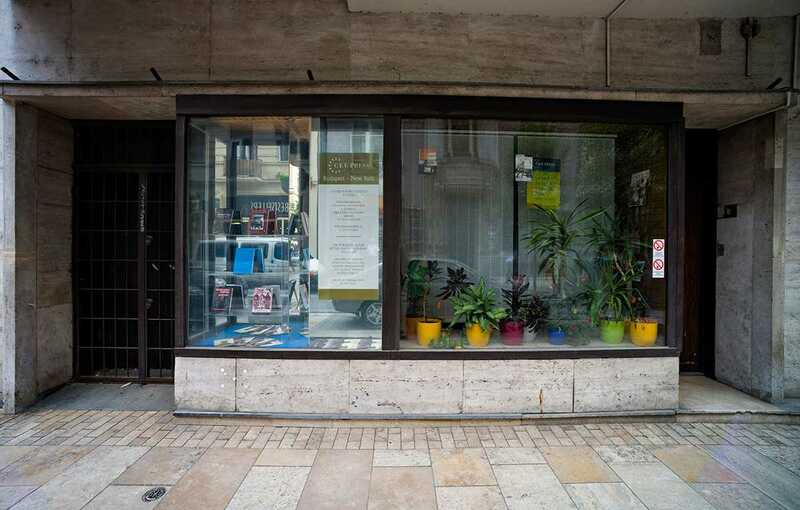 Vera and Donald Blinken Open Society Archives, 1051 Budapest, Arany Janos utca 32. 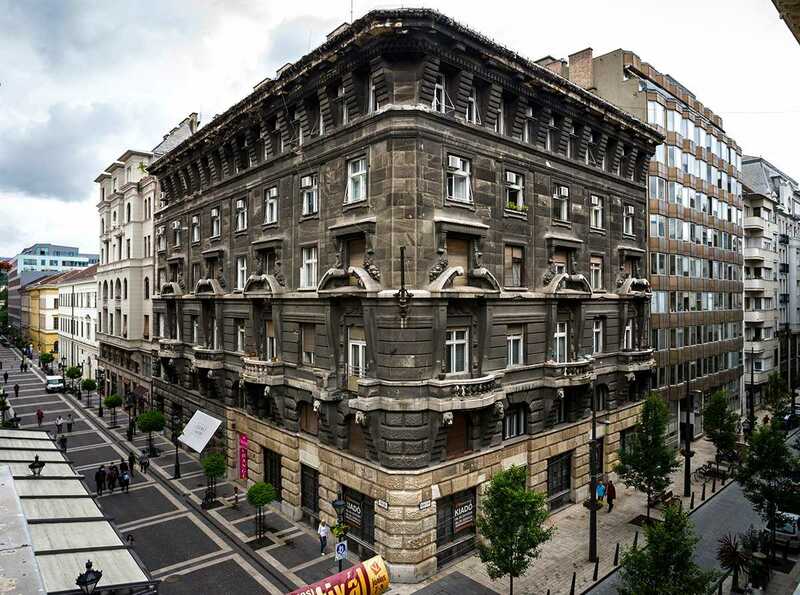 Raoul Wallenberg Guest House, 1015 Budapest, Toldy Ferenc utca 8-10.